You might’ve heard of THE HUNGER GAMES. And lucky you if you’re able to claim you discovered the trilogy before it reached blockbuster status; before Jennifer Lawrence skyrocketed Katniss Evergreen to an unforeseeable stratosphere of stardom. 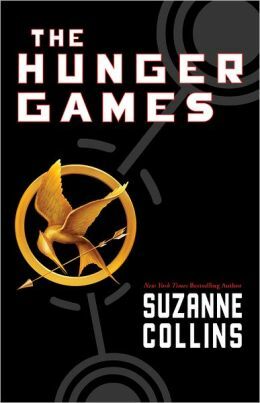 When I first heard of THE HUNGER GAMES I was firmly entrenched in the world of crime fiction. I refused to budge, content in my black hole, my comfort zone of murder and crime. But that was then, and this is now. I’ve expanded my horizons since then; accepted there’s more to fiction than crime, and that countless plaudits for the trilogy can’t be wrong. So, as I made the thirty-something hour flight from New York to Sydney, I grabbed up a dog-eared copy of Suzanne Collins’ first Hunger Games novel. I started it as we taxied down the runaway at Newark, and didn’t stop reading until mid-flight, whereupon I promptly lamented my failure to bring CATCHING FIRE with me. Truth be told, I found the opening fifty pages slow and ponderous. World-building is essential, of course, but I wasn’t hooked by the world of The Hunger Games. Collins’ prose is rock-solid, however; nothing stylish or obnoxious, she’s clearly just a wonderfully talented storyteller. So I kept reading, kept turning the pages, firmly in neutral; neither loving, nor abhorring the experience: I was on a plane, and this was by book. Whatever I thought of it, I was going to read it. But then something happened. I’ve spent a couple days wondering what exactly. Tried to identify that moment of ah-ha! when the pages almost started turning themselves, and I lost myself in the narrative. Whatever it was, 50 pages in, it became a mad-dash to the finish, one of those great reading experiences when the rest of the world totally fades away. When the Games begin and the pace ramps up, THE HUNGER GAMES becomes unputdownable, as Katniss desperately fights for survival against a crew of aggressors. Underlining the violence is her very human story; Katniss is an incredibly capable combatant, of course, especially when armed with her bow, but it’s her struggle to cope with the demands of war that makes the story shine. She’s a teenager forced into an unthinkable situation; even when she pulls of spectacular feats, and makes several last-minute-escapes, the extravagance of her accomplishments mean more because by this time Collins has formed Katniss into a fully-formed protagonist. THE HUNGER GAMES is a fantastic novel. My expectations raised, I now hope the remaining two novels in the trilogy can live up to the first. There’s no doubt I’ll find out very soon: CATCHING FIRE and MOCKINGJAY are atop my reading pile.